The Icom M93 is a powerful 48-channel handheld VHF radio and a valuable marine accessory for every vessel. Its key features include its floating and waterproof capability which doesn’t just protect the device from water damage but also increases its lifespan. With the safety advantages of DSC (Digital Selective Calling), rest assured that you’re in good hands and have reliable access to distress channels should an emergency on the water arrive. With an IPX-7 rating, Icom M93 can withstand immersion in 1-meter deep water for up to 30 minutes. A useful feature for those unfortunate accidents when you accidentally drop your device off the boat. You don’t have to worry about the speaker getting wet and damaged either, the Icom M93 has a high-tech feature known as “Aqua Quake” which puts the speaker on vibrating mode and shakes off water from the device. This allows your speaker to work with no disturbance from water stranded on its surface. The Icom M93 is equipped with a long-lasting rechargeable battery which can remain powered up for the whole day. With its intuitive battery indicator display found on the screen, you know when you need to recharge your radio before it dies. It also has an active noise canceling feature that’s very useful for stormy or windy situations. Floating and Flashing Capability - Accidentally dropped your device in the water? No worries! The M93 has a floating design which allows it to float on its back while the backlit keypads flash making it easier to retrieve the device even in pitch black water. Compact and Stylish Design - Even with a small height of 145mm and weight of 310 grams, The Icom M93D wows with its impressive design. Its flat sheet keypad makes the device look sleek and slim. It’s so well-built that it fits perfectly in your palm. Intuitive User Interface - ICOM is known for creating the best user interface for marine electronics simply because they are so user-friendly and easy to operate. This is very important for non-tech savvy people. Waterproof to IPX-7 - Can withstand immersion in 1-meter deep water for up to 30 minutes. Active Noise Canceling Technology - reduces background noise for better transmissions. This feature can be a lifesaver when you’re transmitting in rough conditions or a around a noisy marine environment. Aquaquake - feature that drains water from the speaker grill using the device’s vibrating mode. Built-in Class D DSC - The ICOM M93 includes its own dedicated second channel which monitors Channel 70 regularly. When you push the red distress button on the rear of the radio, the distress signal gets sent to the coast guard and other DSC radio-equipped vessels. They will receive your GPS coordinates, boat name, and phone number for emergency contact. Backlit LCD display - View all functions and information easily even in the dark. Dual and Tri-Watch Feature - enables you to monitor the distress channel while receiving messages on another channel of your choice. When it comes to transmitting power the Icom M93 has only two options 1 or 5 watts while the Standard Horizon HX870 has three (1, 2, or 6 watts) which means using the HX870 can give you more options to change the output power and save battery. In terms of waterproof rating, Icom M93’s IPX7 rating also falls slightly behind HX870 which has a IPX8 rating. An IPX8 rating provides more protection if you accidentally drop your device overboard (it can still work even when submerged of up-to 3 feet). Both radios have good battery life, however, the HX870 proves more powerful with its 1800 mAH lithium-ion battery compared to the M93’s 1570 mAH lithium ion type. Our verdict? The Standard Horizon HX870 packs a little more features than Icom M93. And with just a little price difference between the two, the wiser option is to purchase the device that will give you more for your money which is the HX870. The Icom M93 is a good choice if you’re looking for a durable, easy-to-use, and compact VHF radio that has all the life-saving features like Float n Flash, Aqua Quake and Active Noise canceling. However, compared to same-price models like the Standard HX870, the Icom M93 significantly falls behind. Despite this, the Icom M93 is worth every penny, and if you’re a long time Icom buyer, this device won’t fail you. In fact, it can help keep you safe whilst out on the water. It is made especially for passionate and adventurous boaters. Great Products for your Boat! 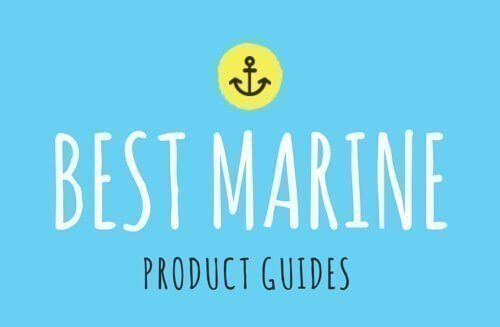 Bestmarineradio.com is a participant in the Amazon Services LLC Associates Program, an affiliate advertising program designed to provide a means for sites to earn advertising fees by advertising and linking to amazon.com.